We are very excited to be offering such a well qualified and engaging speaker as Geoff McConnell. The topic of discussion will be construction lien law. This is a very critical part of receivables and payables for the construction industry, and having advanced preparation and knowledge to navigate lien law is a valuable asset for any of our member businesses. Geoff McConnell is a member of the law firm of McConnell Wagner Sykes & Stacey PLLC. 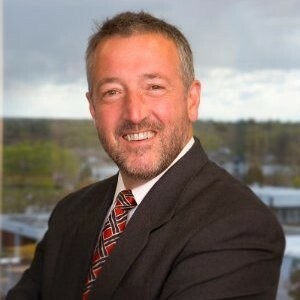 He has 30 years of experience in general business litigation and construction litigation, representing business owners, general contractors, specialty contractors, developers and subcontractors, in state and federal courts in Idaho, Utah and California, and before federal boards of contract appeals. Geoff has represented clients in arbitration proceedings, and before state and local public works dispute resolution boards. He is licensed to practice law in Idaho, California and Utah. Geoff is a member of LEGUS, an international network of law firms.